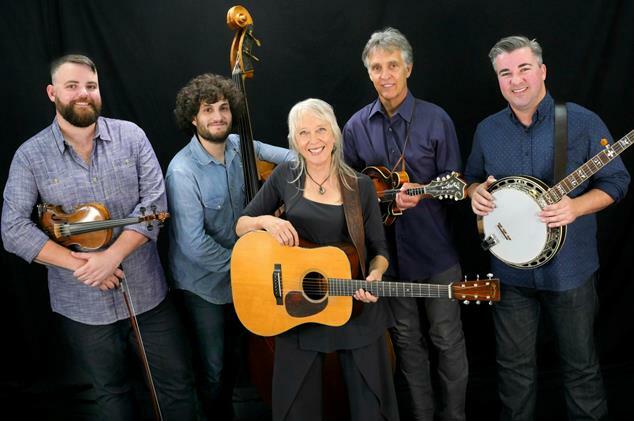 The Right Hands consist of longtime sidekick, Tom Rozum, a spectacular mandolinist, singer, and guitarist, Southern California’s own Patrick Sauber on banjo and vocals, and new members, Sam Grisman (son of David Grisman) on bass, and Brandon Godman on fiddle. Laurie always surround herself with the best musicians, and as they leave the Bay area, or go on to other projects, she finds new ones. Their music is a joy to behold and we are always excited to have them back. See Laurie’s web site, Laurielewis.com. Tickets can be purchased on the phone (626-395-4652) with a credit card (a service charge will be added per order), purchased at the Caltech Public Events Ticket Office in the Spalding Building (California Blvd. and Wilson Avenue) for face value (open Monday-Friday from 10:00 a.m. to 4:30 pm. ), purchased online (click on red ticket below- service charge added per ticket, sales end 2 days before show), or purchased at the door for cash or check (no credit cards.) Occasionally, a show will be sold out before the day of the show, so call the Ticket Office, if you are planning to buy tickets at the door. Better yet, join our mailing list and you’ll be informed about such situations ahead of time.